Hello! 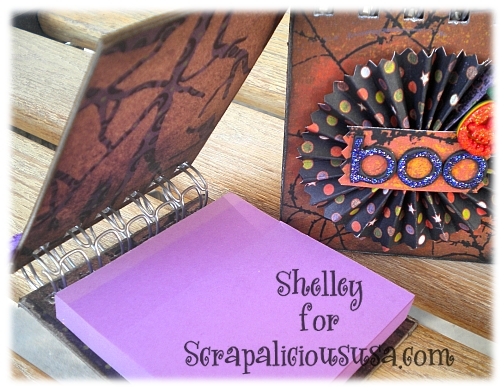 We have another fun challenge starting today at Scrapalicious USA. 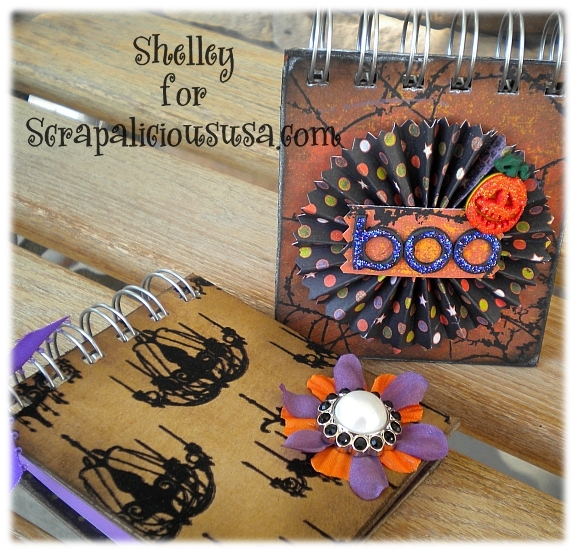 The theme is anything Halloween! How fun and easy is that? I decided to create a fun little item that would carry over well into other holidays upcoming. These little books tote a post-it type pad and perfect for gift giving. Plus they are so fun to make! Items Used from Scrapalicious USA. gorgeous! love these post it notes! super cute.